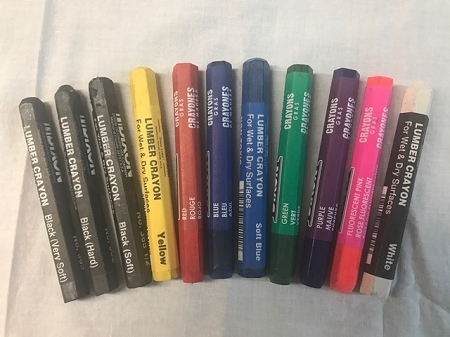 Dixon Lumber Crayons last 10 times longer than ordinary molded wax or chalk crayons. Mark lumber , logs, cants,and bundles with ease. Water, fade and smear resistant. Paper covered, 4-1/2" x 1/2" hexagon diameter shape, packed and sold 12 per box.